As homeschoolers, we’re all about books, right? 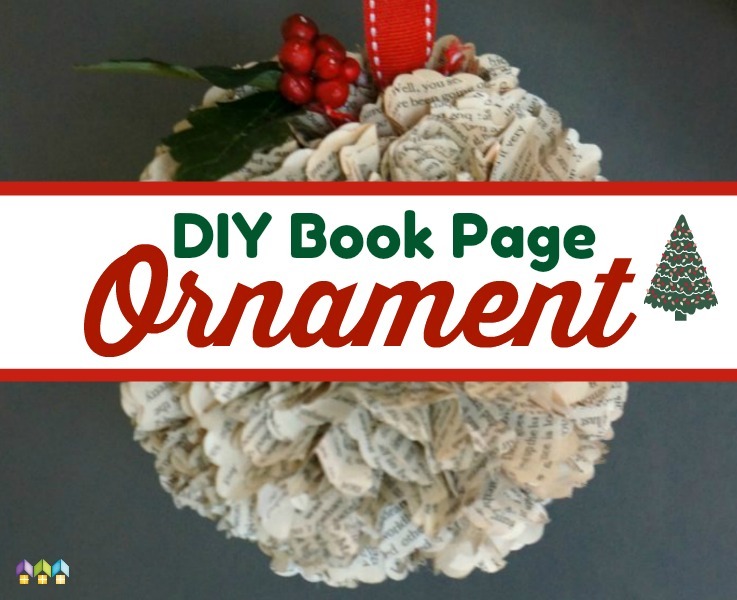 Of course, we’re usually huge advocates of reading books, not necessarily creating with them, but here is a simple project called book page Christmas tree ornaments that can transfer your love of books from reading to decorating your home for the holidays! I keep old paperbacks that are in disrepair just for projects like this one, but you can probably find discards at your local library for free or for a small donation. If not, paperbacks are usually less than $1 at thrift stores. Buy a thick one! 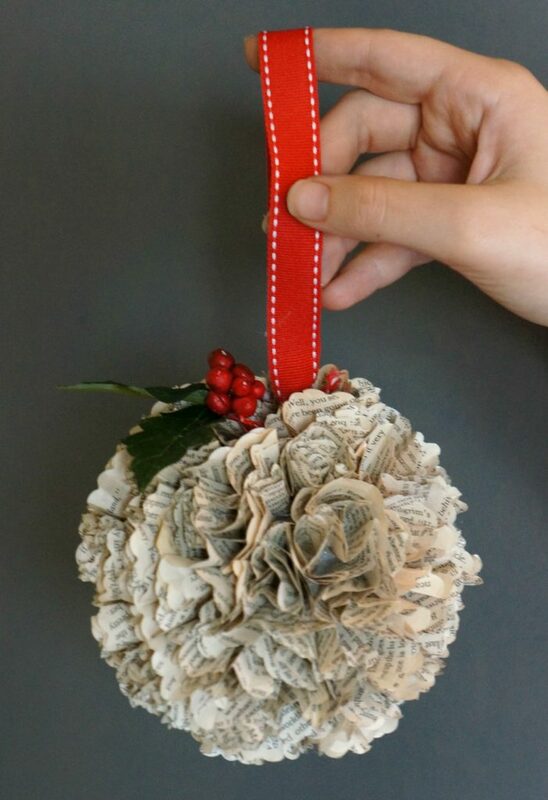 You might be surprised how many pages you’ll go through making just a few of these ornaments. 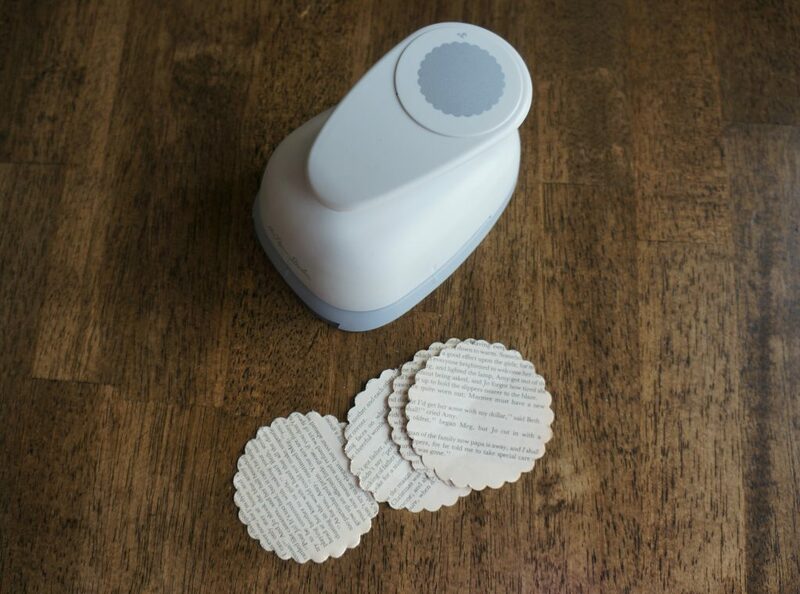 Tear pages from your book and begin punching until you have a sizable stack of disks. You can usually punch through 3-5 pages at a time. Any kind of circular punch will work, but scalloped or lace-edged disks are especially pretty. I used a 3-inch punch, but smaller ones will work just as well. You can closely determine the size of your completed ornaments by adding the diameter of your Styrofoam balls to the diameter of your disks. In the end, my ornaments ended up being about 5-inches in diameter. 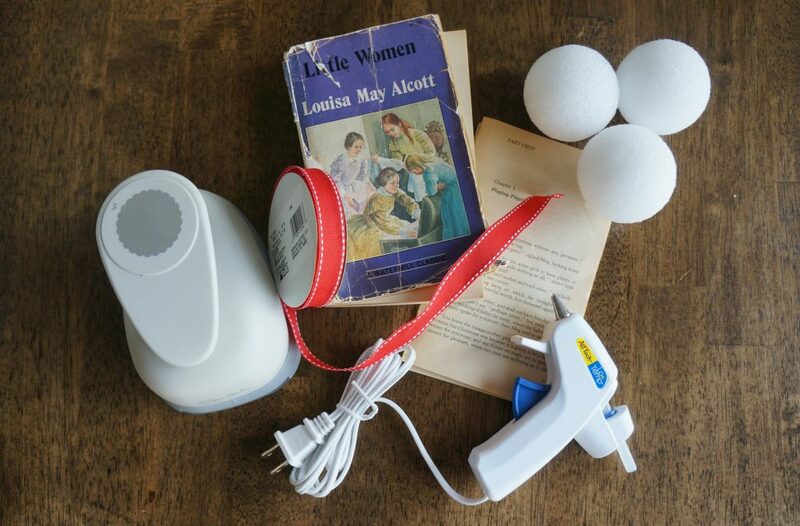 Prep your hot glue gun. Obviously working with hot glue will not be suitable for all children, but if you think your child is old enough to use one, I have found mini-glue guns are more manageable for smaller hands. (I bought mine for less that $3 each so each child could have his/her own.) If your child isn’t ready for a hot glue gun, let the child do the other prep work while you do the gluing. Fold each individual disk of paper over a pencil end into a little tube. Continue adding disks until you’ve covered the Styrofoam ball. 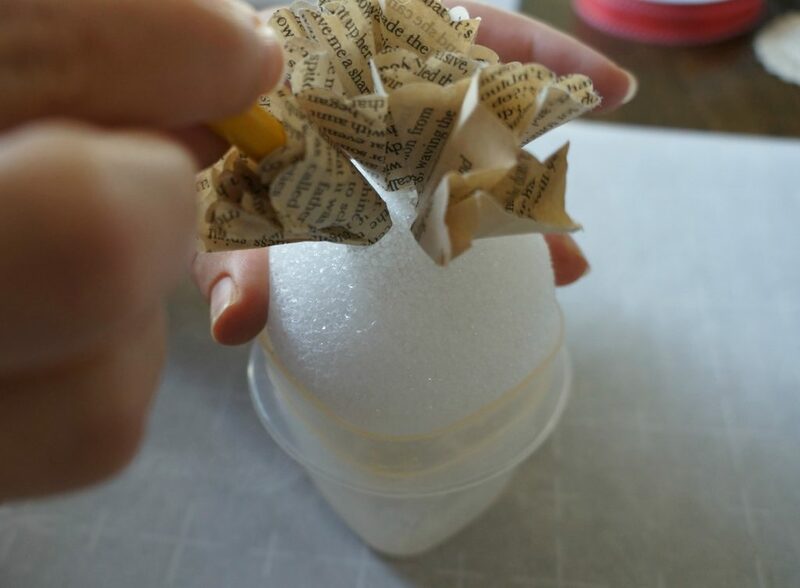 Remember that the closer you put your dots of glue, the fuller your ornament will look. Use more hot glue to add a festive ribbon for a hanger. Embellishments like greenery, mistletoe, or jingle bells aren’t necessary, but they certainly add a little extra holiday cheer! 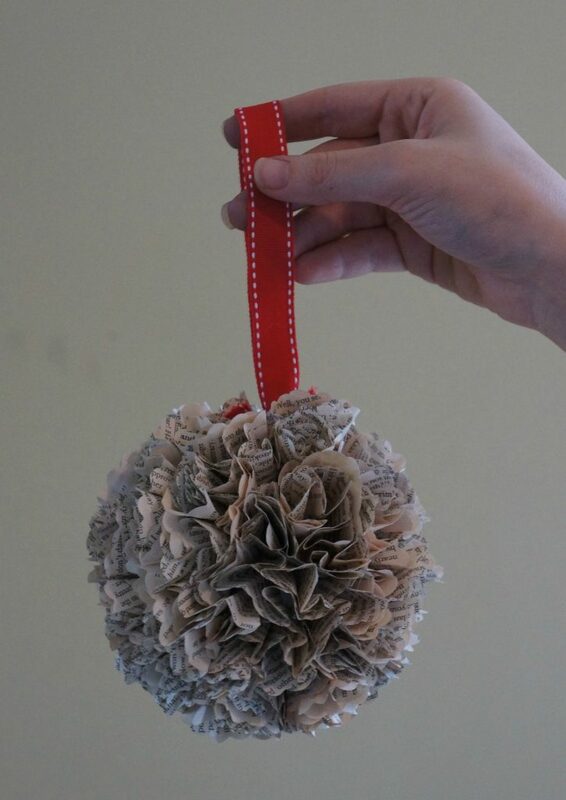 So if you’re looking for a simple homemade project to do with the kids, try these book page Christmas ornaments and start enjoying books in a whole new way this holiday season! 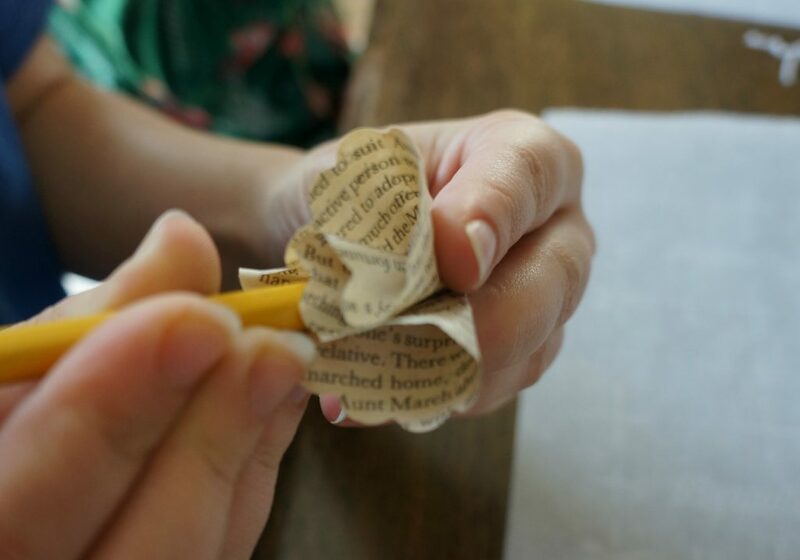 Such a great idea, I hate throwing away old, falling apart books. Thank you! This is so neat! 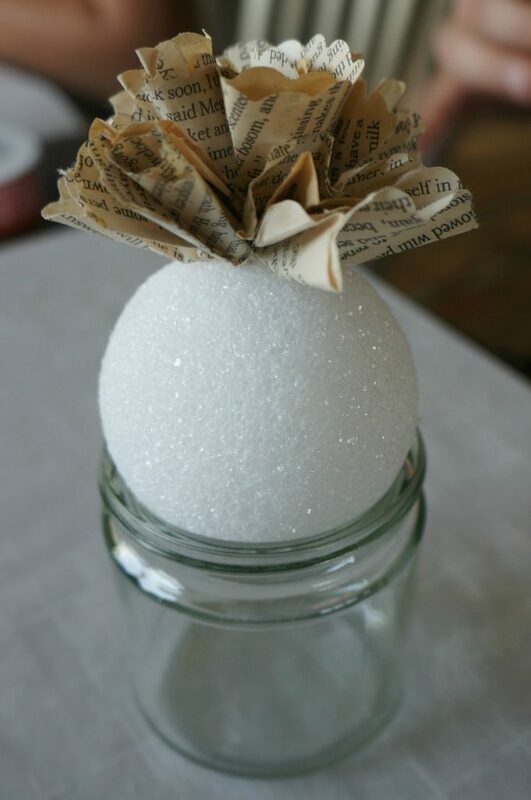 We may try this one next week for our Christmas craft day!